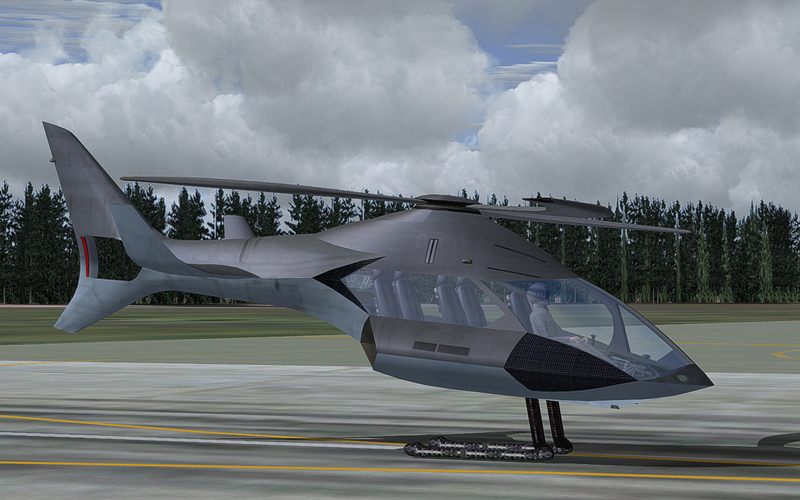 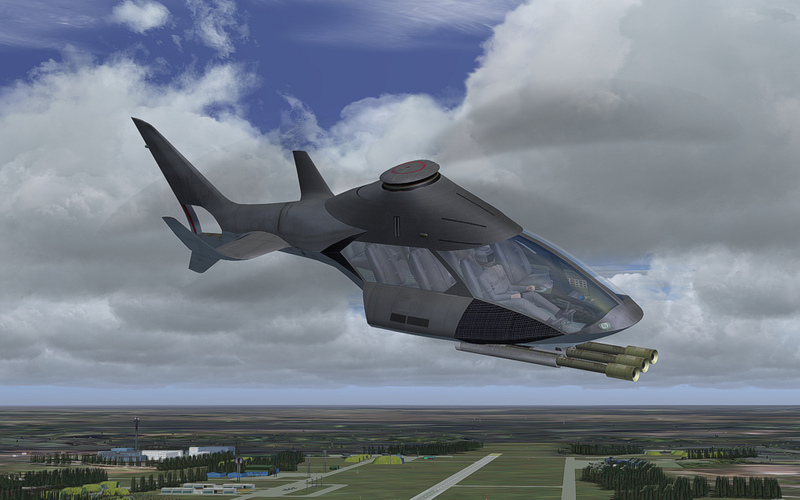 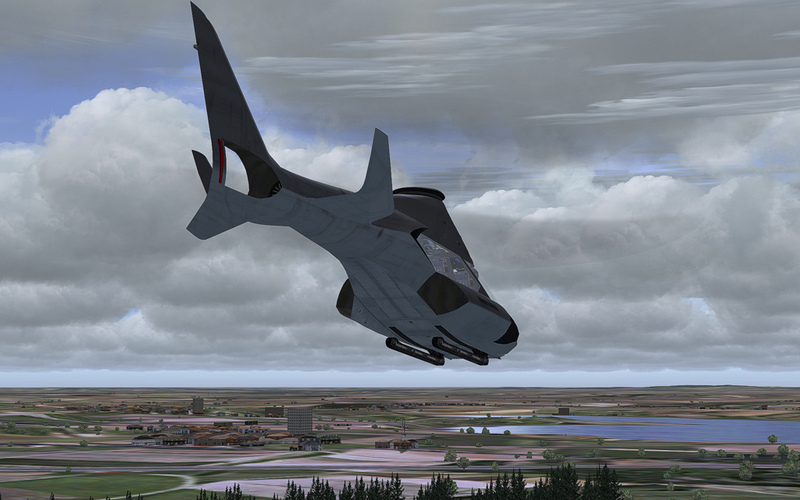 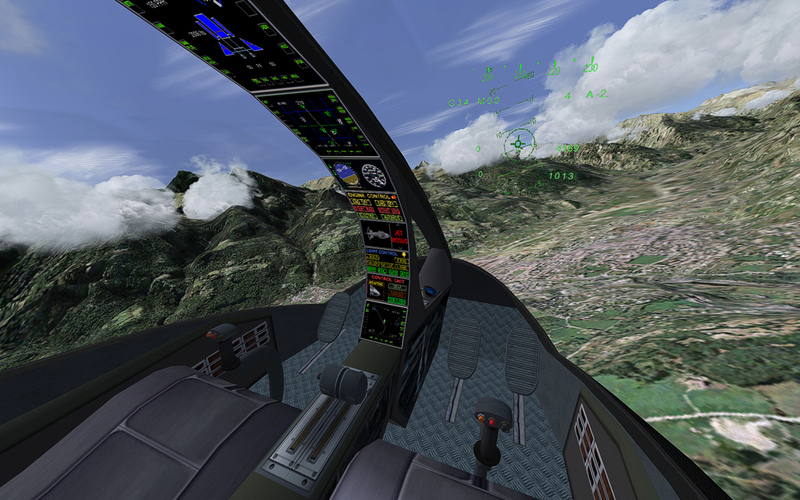 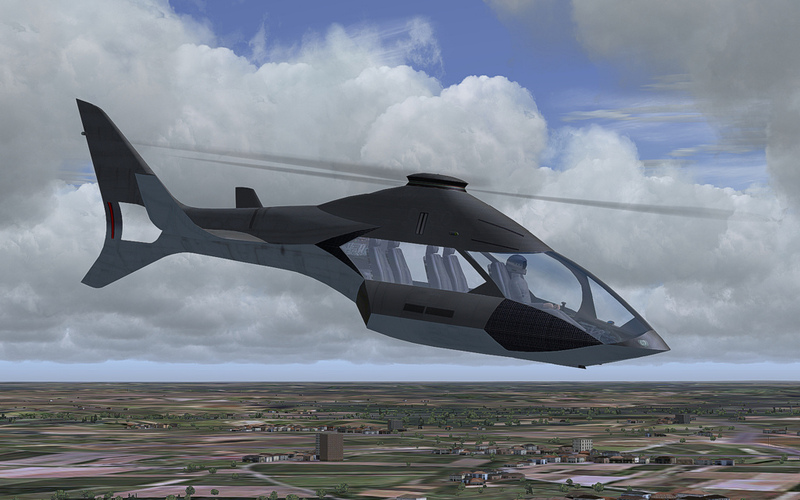 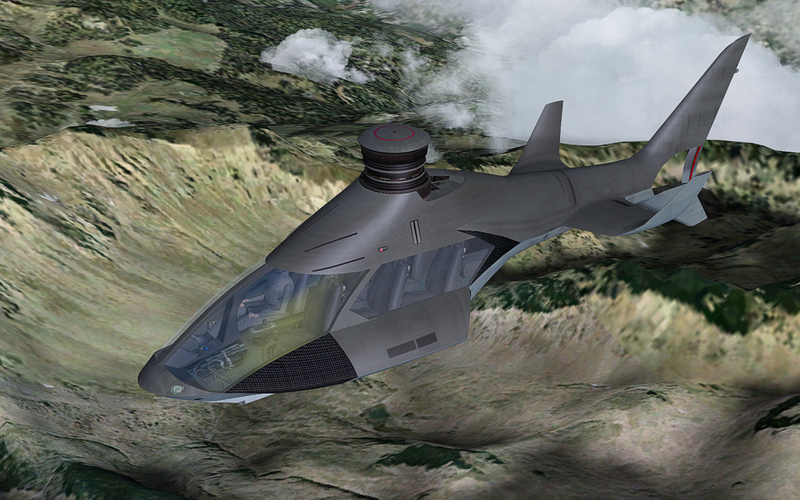 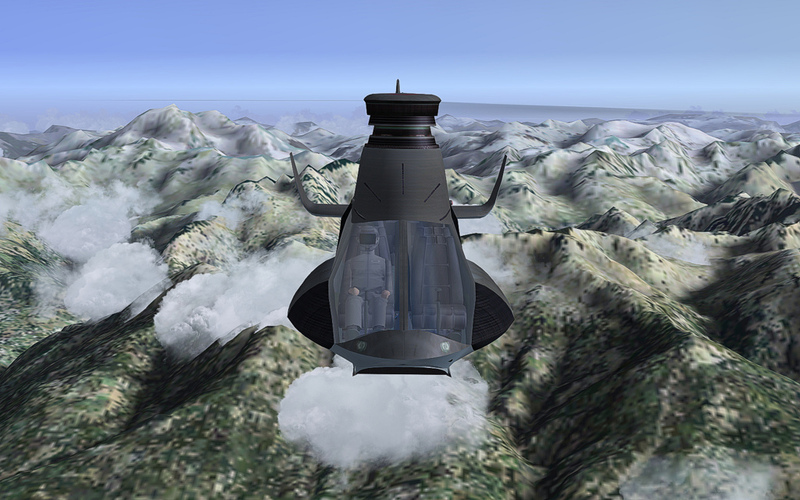 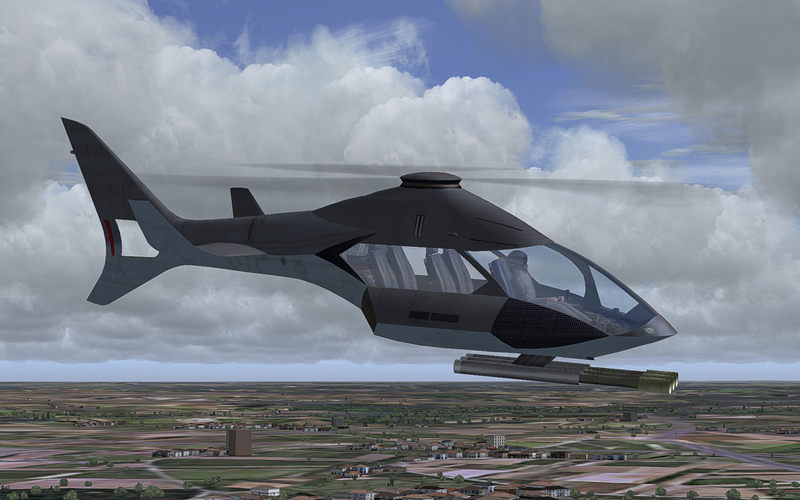 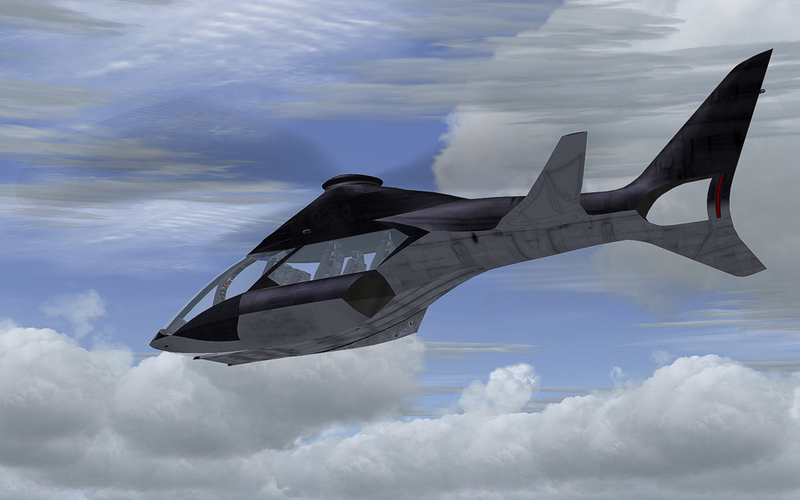 AFS-design brings a new version of Concept Aircrafts 2 on the market. 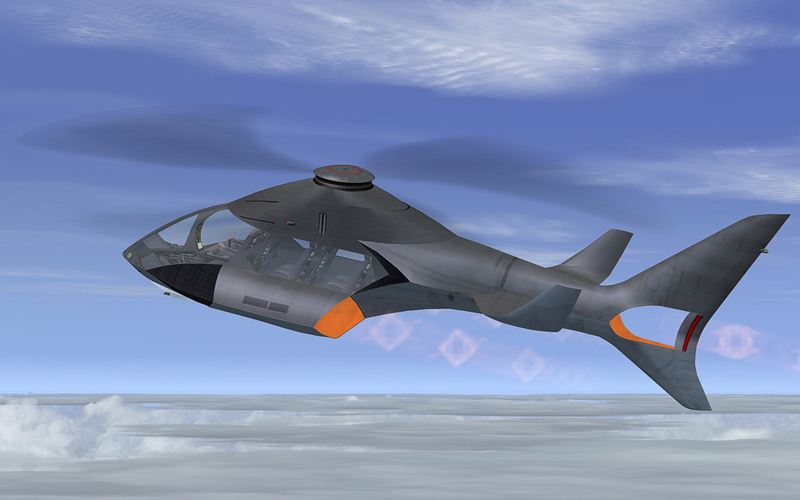 Concept Gyro: supersonic - gyrocopter. 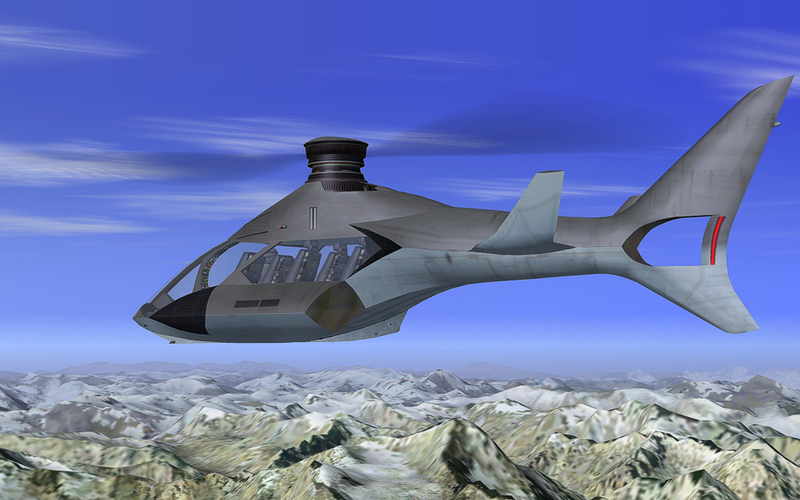 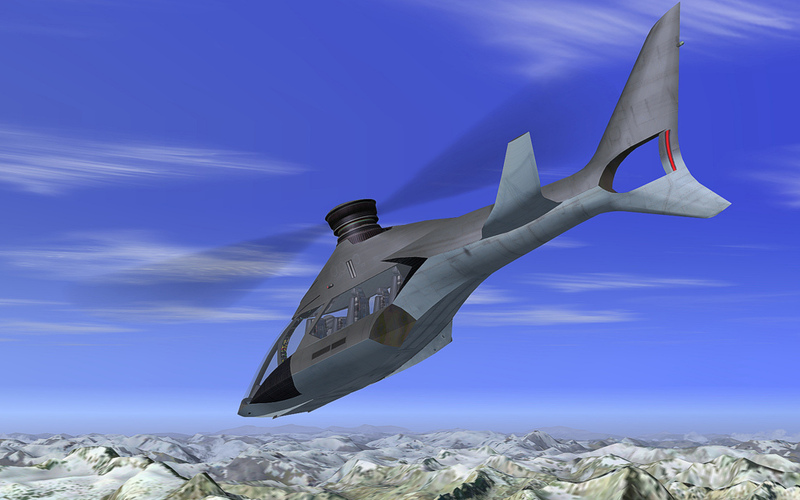 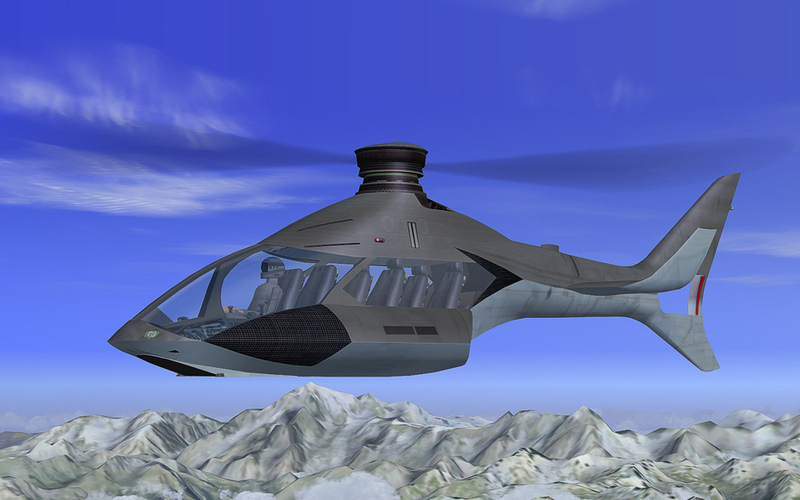 Autogyro or gyrocopter is called a rotary-wing aircraft and is similar a helicopter in functionality. 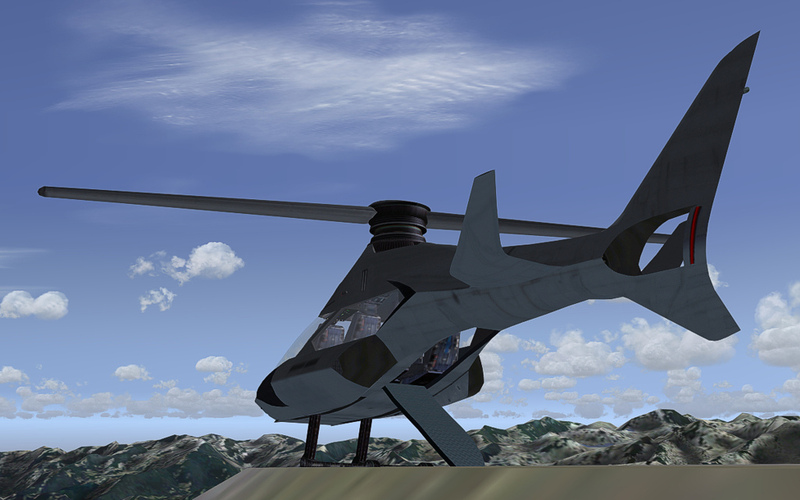 But the rotor is not an engine, he passively by the wind into rotation (auto-rotation). 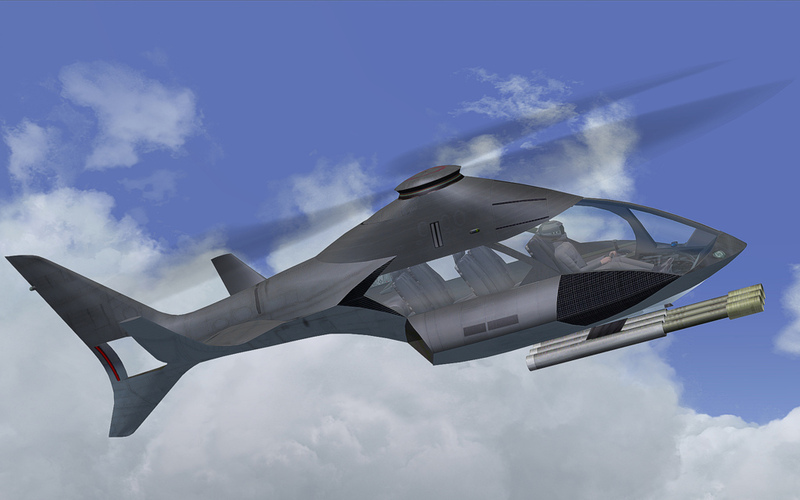 The buoyancy resulting attend by the resistance of the rotating rotor blade rotor rearwardly inclined surface. 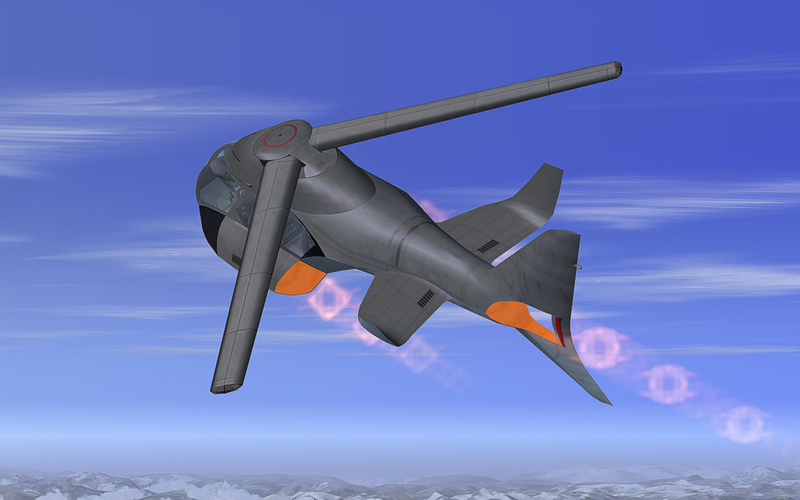 The propulsion carried out by turbine force. 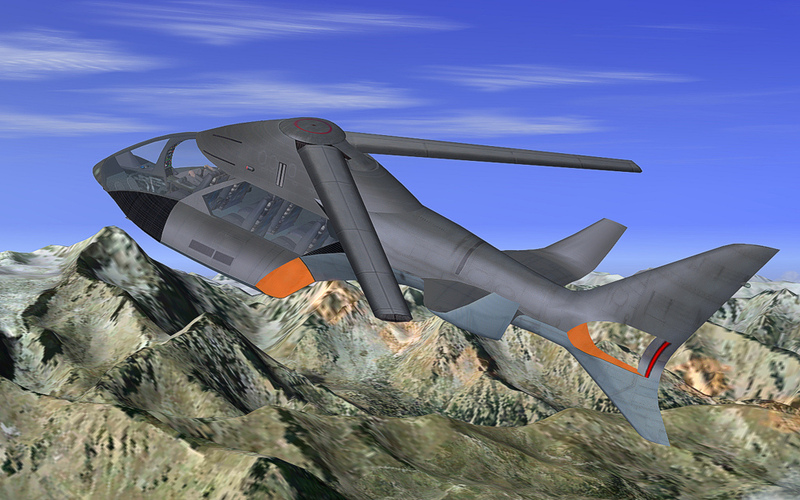 The 3 blades are oval shaped and can break the sound barrier. 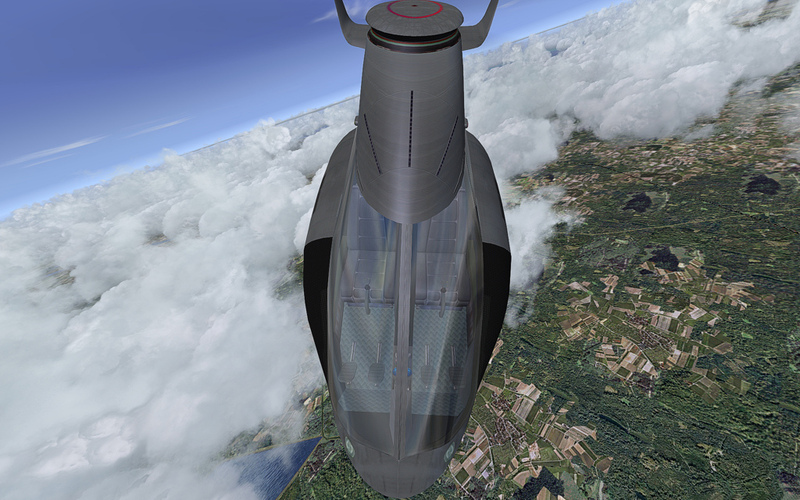 Therefore he has supersonic capability. 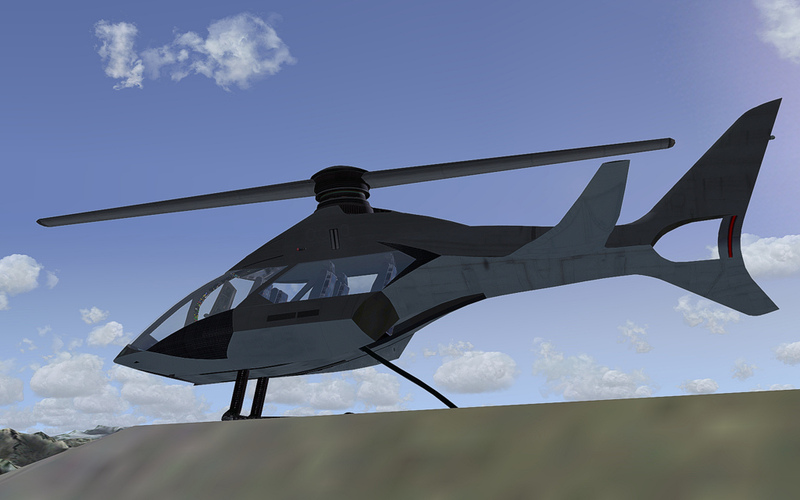 Through a special design, this autogyro for 30 sec. 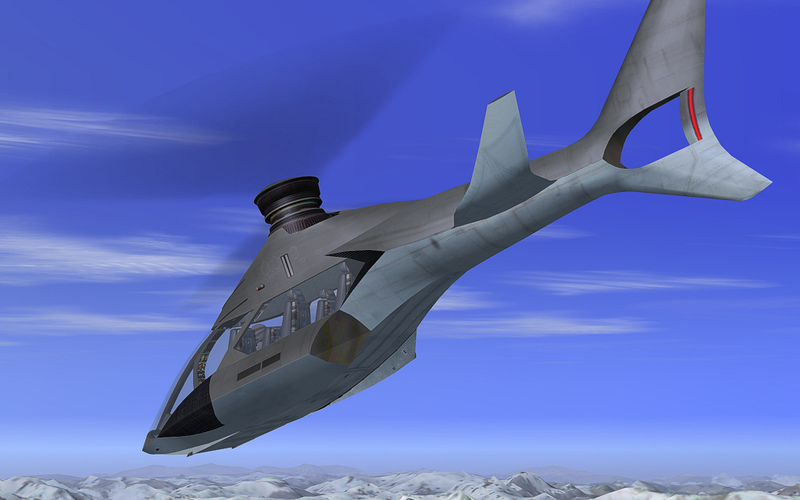 hover on the spot. 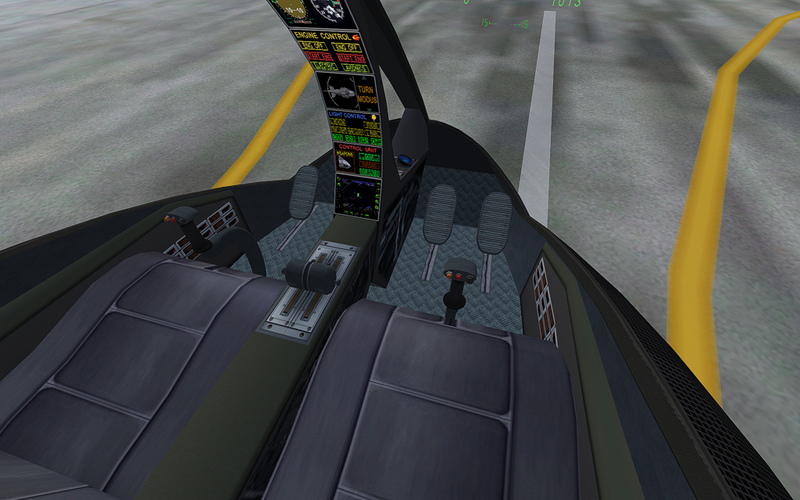 This time allows for vertical takeoffs and landings. 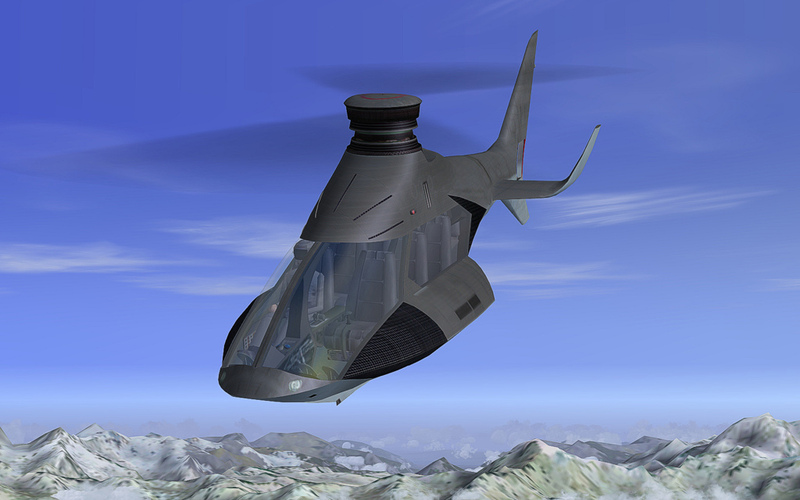 Swing Concept: rotor swing - helicopter. 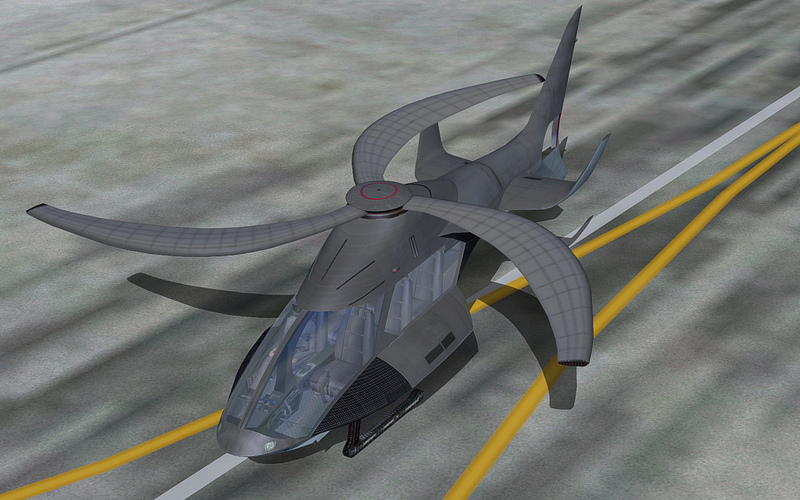 Ultra-modern futuristic helicopter that can transform into a jet. 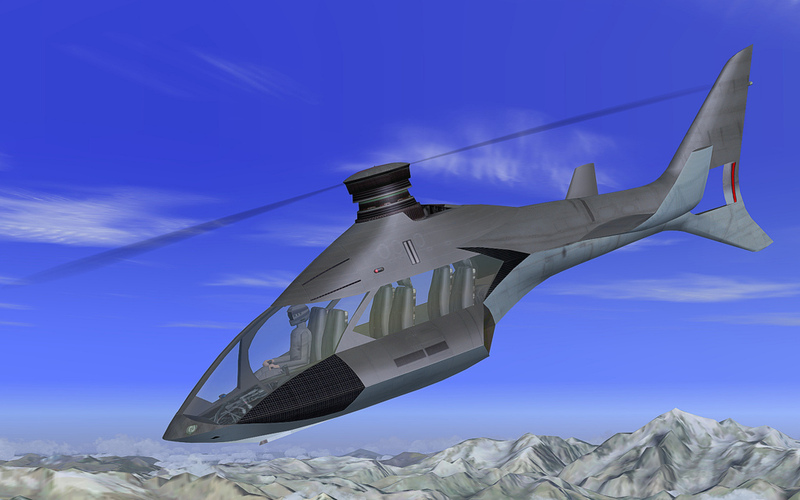 Here, the rotors transform into wings in jet mode. 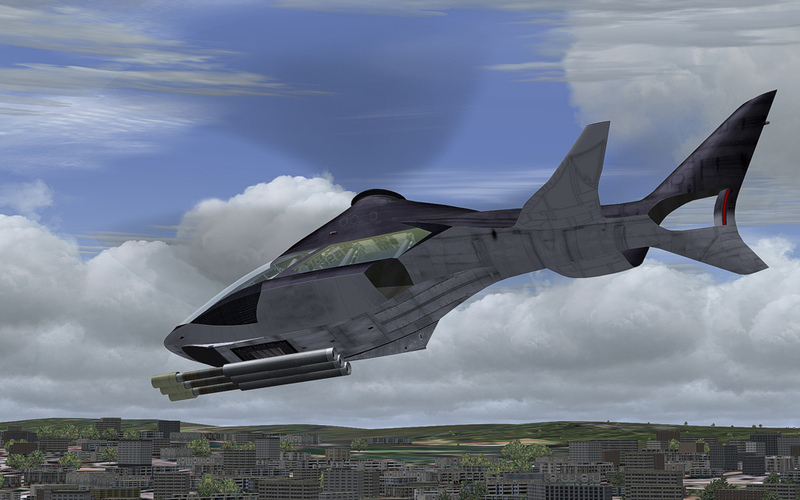 Thus he can take off vertically and fly twice the speed of sound. 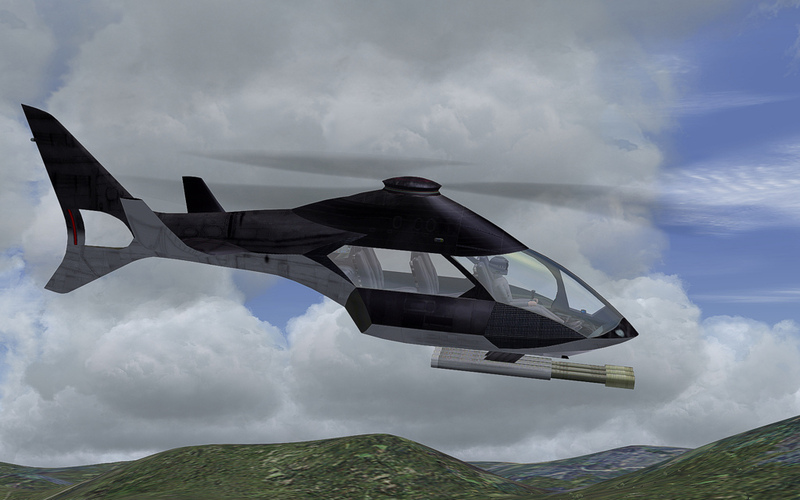 Powering the rotor swing - by 3 helicopter turbine engines with afterburners. 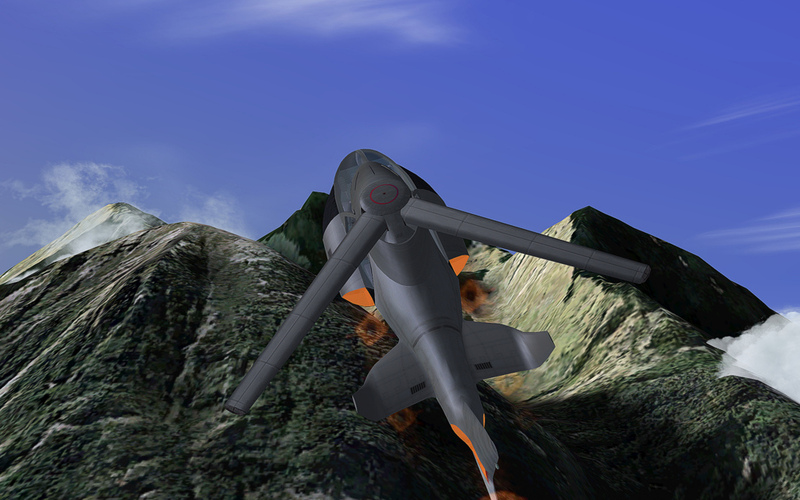 - Simulation of 3 times 30000 hp turbine engine.